The Ramones in London: What if nobody speaks English? I have written a cover story about the Ramones in the current issue of Uncut. 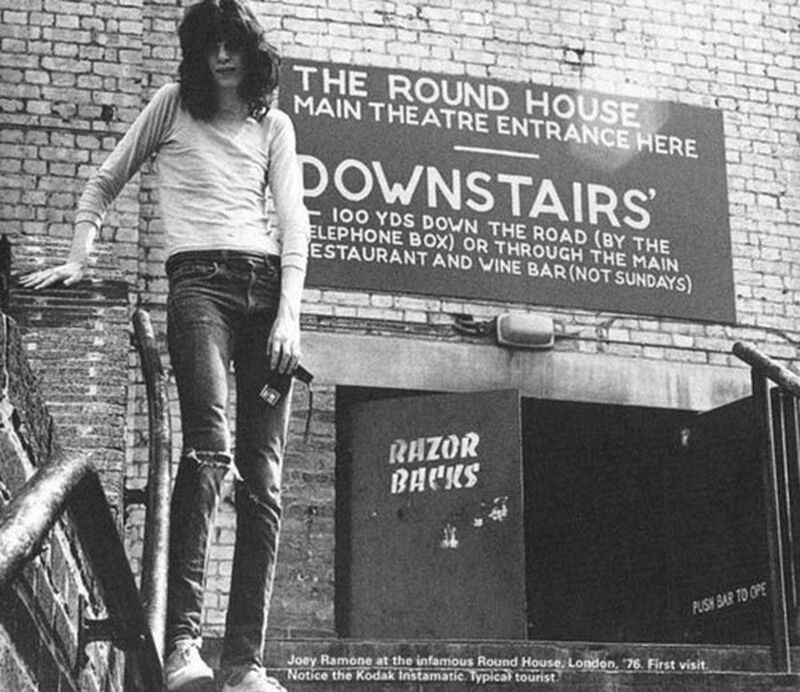 One element of the Ramones story is their two gigs in London in July 1976, when the band played the Roundhouse and Dingwalls before audiences of around 5,000 at a time they were drawing around 150 back in New York. So even before the Ramones went to London, they knew the city was familiar with the CBGBs scene. For a band that loved English pop, this was quite a thrill. As Tommy Ramone explained, ‘They said the UK was interested and we’d grown up with all our favourite bands coming from the UK [Tommy told me that “Judy Is A Punk” was basically based on “I’m Henry VIII, I Am” by Herman’s Hermits] so we were very excited and we thought it might give us our break. We went over for a few days and played the Roundhouse and Dingwalls. We met a lot of the English bands, who came to the soundcheck at Dingwalls. We knew that we had sold out these place so we had an idea something was going on.” The success of the Camden shows did nothing for the band’s reputation back home, however. When they returned they continued playing in front of small crowds. In fact, as the Pistols gained in notoriety, being associated with English punk acts was more of a hindrance. In that sense, the Ramones shows were more like the International Poetry Incarnation at the Royal Albert Hall in 1965, when the hippies, ex-Beats, freaks and flower kids all turned up at the same place for the first time and realised they had a constituency, that the happenings they were organising in silos could be fed into a collective scene. It’s a glorious movement for any youth movement, the realisation you are part of something bigger than yourself. Even the underground wants to be popular. Here’s an excerpt from the Ramones documentary End Of The Century talking about the Ramones in London. This entry was posted in Camden, Film, Journalism, London, Music, Poetry and tagged Camden, Craig Leon, Danny Fields, Dee Dee, Dingwalls, Joey, Johnny, July 4 1976, Ramones, Roundhouse, Tommy. Bookmark the permalink. Epic title! is wish i could see the Ramones live. These guys are legend! Luckily I was blessed with tickets years ago and joined their show. What happened to music ? There are no originals like the Ramones nowadays.